The fantastic bestiary is a time-honored speculative tradition. But some of the earliest ones didn’t even know they were speculative; early bestiaries routinely included dragons and unicorns alongside panthers and hyenas, creating pockets of the uncanny amid history. For those who have never seen the beasts they draw, it’s only possible to guess, and there’s always some element of dread in the unknown. Animals we’ve never seen are monsters; their portraits are an act of faith. Sofia Samatar knows all this, and that knowledge is on display in Monster Portraits. Samatar, an academic as well as a writer, is fascinated by the function of text as artifact. 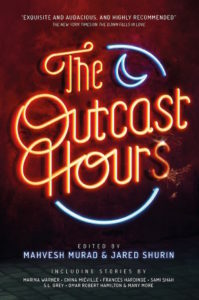 (There’s a sizable list of references at the end of the book, in case you can’t stop thinking about some of the phrases combined in this new, resonant context.) 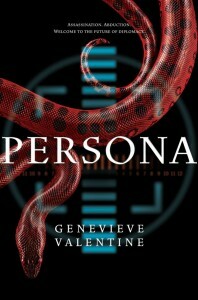 This time around, she’s concerned with the identity and impact of everything from monsters to the fourth wall. She, the writer, asks her brother to collaborate on a book about monsters. She, the character, asks her brother to accompany her on a strange journey that builds upon itself so carefully you won’t notice the hits coming until it’s too late. 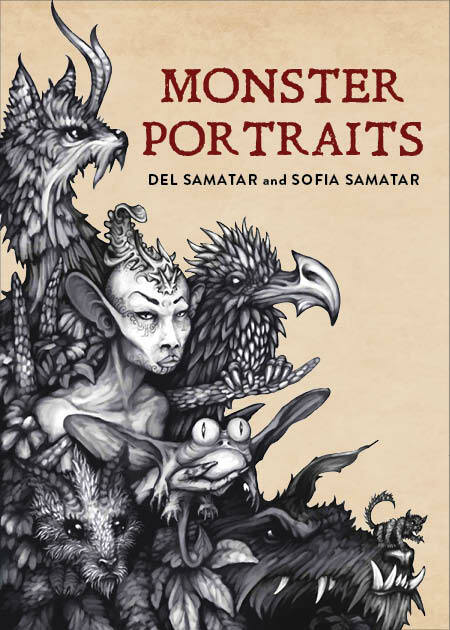 I reviewed Sofia Samatar and Del Samatar’s Monster Portraits for NPR.